Gotta say I was pretty stoked (who says that?) about this meal. And I also gotta say that I thought scooping out a pineapple would be a lot easier. Of course the BuzzFeed video I watched made it look like a breeze. Kinda like when they make cutting a spaghetti squash easy and you end up either almost stabbing yourself right in the stomach or turning the knife that is now stuck in the spaghetti squash as a hammer on the cutting board. Banging and banging until the thing cracks in half enough to pull apart. But the whole pineapple thing is easier. I promise. Yet still semi annoying. Maybe I’m just weak and still need this baby muscles to grow. Either way…I think it was worth fighting with the pineapple a little bit it order to eat this deliciousness out of it! And yes, the inspiration came from a BuzzFeed video with some minor tweaks and it made for a fun Friday night meal on the deck! Give it a try, put an umbrella in your drink and then pretend you’re in Hawaii. Cut pineapple in half lengthwise. Cut around the inside of the pineapple, then scoop out the flesh, leaving about a half inch to make a nice sturdy bowl. Drain any extra juices and set flesh aside for later. Heat oil in a large skillet over medium-high heat. Add chicken and cooke for about 3-4 minutes. Add liquid aminos, sugar, and honey. Bring the mixture to a boil, then turn heat down and let simmer for 8-12 minutes. Add sliced pineapple chunks and cook for another 1-2 minutes, then sesame seeds and stir to combine. 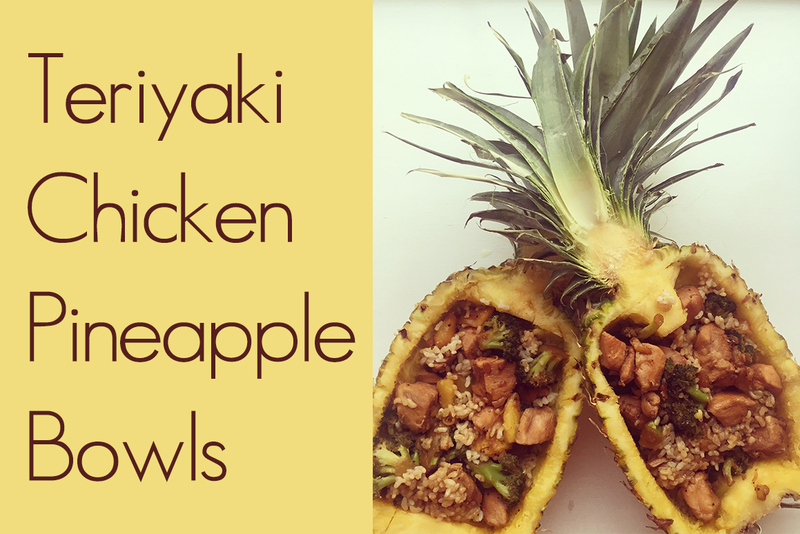 Scoop one cup rice into pineapple boat, then divide chicken mixture among the two bowls.